The rapid growth in smart and connected devices, digital services, and cloud applications is resulting in an explosion of data. This is bringing new experiences to all facets of our lives, from smart cities to autonomous vehicles, precision medicine, immersive gaming and more. At the same time, Moore’s Law is driving even greater computing capability that can be used both in the cloud and in devices to make use of that data. Using analytics to gain actionable and timely insights is allowing for new discoveries and improved services in areas like genome sequencing, predictive factory maintenance and retail fraud detection. This combination of data growth and increased computing capability is a fantastic opportunity to transform both device and cloud computing, which in turn creates a virtuous cycle of growth. However, a key challenge lies in getting data much closer to the central processing unit (CPU). Historically, growth in memory performance has been much slower than increases in CPU performance, resulting in scenarios where the CPU is often waiting for data from storage. In addition, we have been gated by the amount of memory capacity and how close it is to the CPU. These two constraints create a data bottleneck. The result has been a technology void between DRAM and hard disk drives. But that is changing as new technologies are meeting the needs of the memory and storage hierarchy. Intel is driving innovations – using our deep understanding of materials science as well as computer architecture – to grow memory and storage at a much faster rate to virtually eliminate the bottleneck. We believe two recent technological inventions – 3D XPoint™ technology and 3D NAND – are key to keeping pace with the combination of growing data and increased computing capability. Bigger memory and faster storage provides significant value to the cloud, further enabling us to automate and efficiently analyze increasing quantities of data so businesses can run more efficiently. The need for storage and memory innovation is clear and the opportunity is big, whether it is for customer service, supply chain optimization, financial fraud detection, or precision healthcare research that is processing and analyzing larger genetic data sets in real time. As an example, Facebook and Intel are collaborating closely on Intel® Optane™ technology, and Facebook has been working to re-architect its storage hierarchy to take advantage of this type of technology. 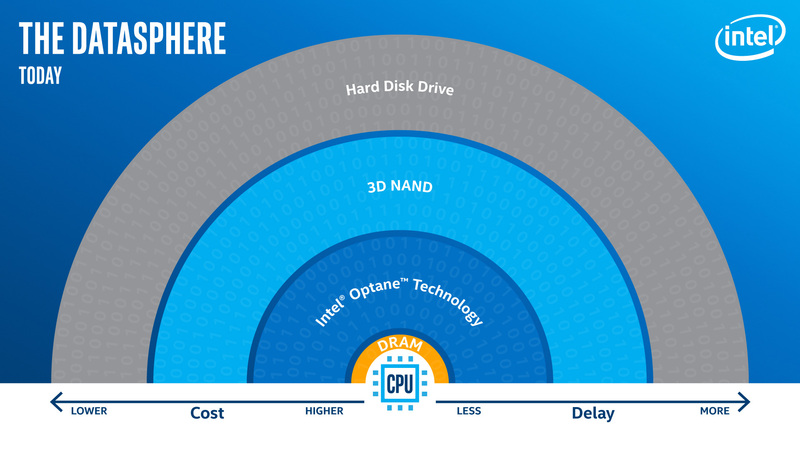 Early testing of Intel Optane solid state drive (SSD) prototypes – which utilize 3D XPoint Memory Media – demonstrate a 10 times reduction in latency and three times increase in throughput as compared to a NAND SSD1, allowing for significantly faster movement of data between the storage device and CPU. The availability of faster storage and bigger memory also benefits many new devices by enabling more immersive experiences with natural interaction. Consider gaming, for example: Our new generation of gamers demand more. The immersive, open world of uninterrupted game play they expect has been unachievable with current memory and storage solutions. Cinematics, load screens and level changes are tricks that developers use to mask the current memory size or storage bottleneck. With bigger memory and faster storage, developers are able to deliver the gaming experience of a lifetime. You’ll hear more in the near future about how Intel is working with game developers to realize this potential. What exactly are Intel’s new storage and memory technologies? 3D XPoint technology is a breakthrough that creates a new class of memory that greatly reduces the cost, performance and power trade-offs that most system builders make when they design storage and memory solutions. It is much denser than DRAM and faster than NAND, allowing us to place more data closer to the CPU. Intel Optane technology will utilize 3D XPoint Memory Media and will come to market in Intel® SSDs and DIMMs. This will enable bigger memory and faster storage to accelerate access to more of the most frequently used “hot” data in servers and devices. 3D NAND technology allows us to provide much bigger storage at lower costs. Intel SSDs with 3D NAND technology open more opportunities to use SSDs instead of hard disk drives in PCs, devices and servers that store data in the cloud. SSDs are up to 1000 times faster than a hard disk drive2, and that performance can translate to quicker boot times, faster posting of videos and a better, smoother gaming experience. SSDs are also close to 10 times more reliable than hard disk drives3 to better protect your personal data. These big changes in storage and memory also provide new opportunities for us to advance the computing platform by offering new ways to utilize and optimize memory and storage in the computing platform. We view memory and storage with an eye toward synergistic enhancements for both computing architecture and business growth. What if we could put a terabyte of storage in a space the size of a postage stamp or a petabyte in a space the size of a pizza box? That would be like storing 250,000 songs4 in a postage stamp-sized device or like storing 250,000 high-definition movies5 in a pizza box-sized rack. 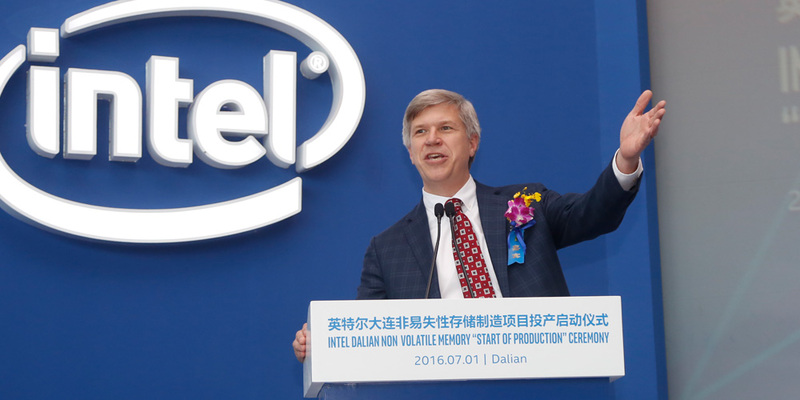 We will continue to improve both 3D NAND and Intel Optane technologies to keep pace with the rate of innovation in computing so that the CPU and memory can be optimized to reduce the data delay. With memory and storage inevitably becoming more important to the performance of applications in the connected world, these technologies will open new ways to think about computing for connected “things” and the cloud. This is all part of the virtuous cycle of growth where the cloud, the Internet of Things and memory are all bound together by connectivity and enhanced by computing innovations driven by the economics of Moore’s Law. We are very excited about the areas we know will benefit from using Intel Optane technology and Intel SSDs with 3D NAND technology to bring computing and data closer together. We are even more excited about how people will use bigger memory and wicked fast storage in ways we haven’t imagined. 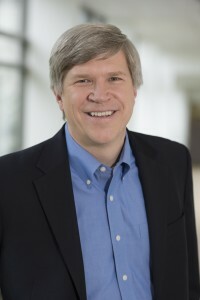 Rob Crooke is senior vice president and general manager of the Non-Volatile Memory Solutions Group at Intel Corporation. » Learn more about Intel® solid state drives on Intel.com. 1“10 times reduction in latency and three times increase in throughput” measured by Intel using RocksDB setup based on published tests at rocksdb.org: 1B Key Database used, 8 “Shards” of 25M Key/Values each, 20 byte keys, 800 byte values, 50% compression, ~100 GB on-disk. Read: All threads randomly read all keys. Read/Write: All threads randomly reads keys 1 writer thread updates up to ~80K keys/second. 2Technology claims are based on comparisons of latency, density and write cycling metrics amongst memory technologies recorded on published specifications of in-market memory products against internal Intel specifications.